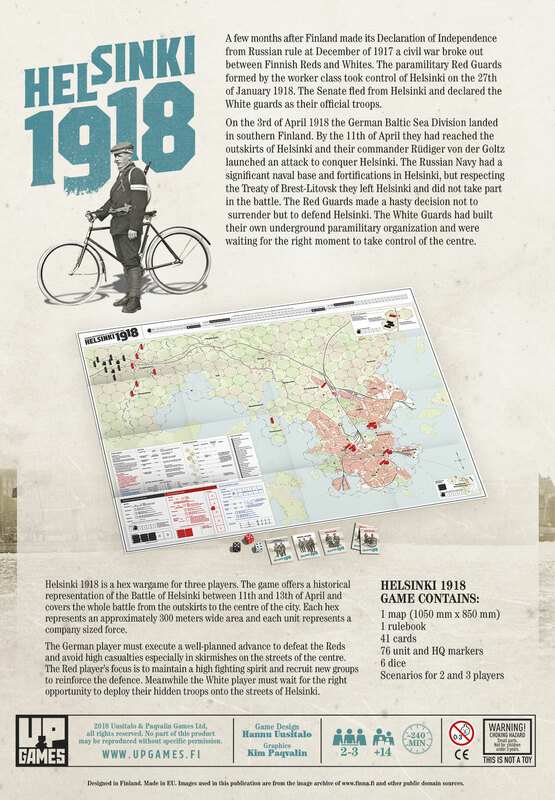 Helsinki 1918 game is now ready and the printing starts soon. It should be out 11th of April. We will open an order form immediately after we get the final price from the printing company. 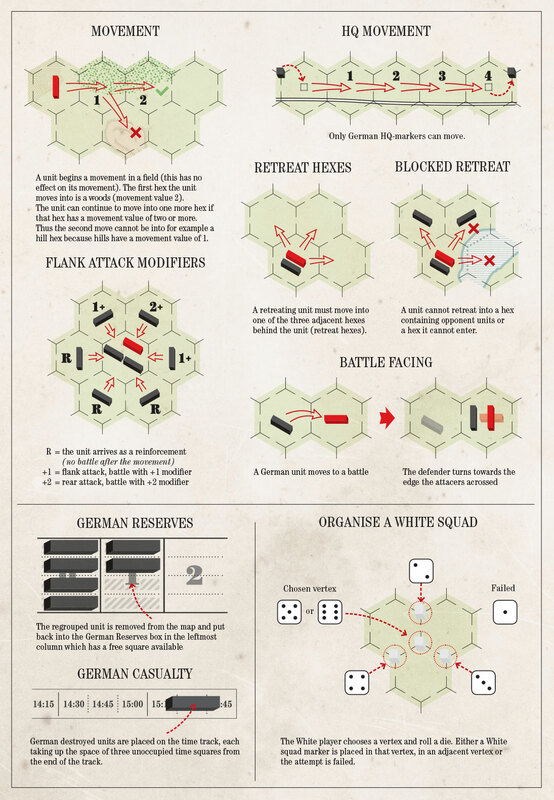 Here are some photos of the game box and the example sheet.